The approximately 4,800 people with IVC filter cases pending—and others who have been hurt by IVC filters but may not have filed lawsuits yet—are likely interested in a February 2019 federal jury decision in favor of a woman who was hurt by a Cook Medical IVC filter. 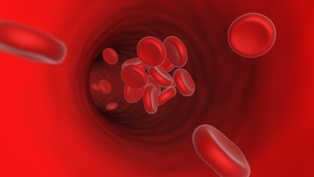 The February 2019 decision was the third bellwether case involving Cook Medical IVC filters. Cook Medical won the first two cases and the plaintiffs in those two cases did not make financial recoveries. However, the jury’s February 2019 decision in an Indianapolis United States District Court was in favor of the plaintiff. The verdict resulted in an award of $3 million in compensatory damages for the plaintiff. The plaintiff, in this case, is a woman named Tonya Brand. Ms. Brand had a Cook Medical Celect IVC filter implanted. In her lawsuit, Ms. Brand alleged that the Celect IVC filter broke apart and pieces migrated into her thigh and close to her spine. She sued for compensatory damages, loss of consortium, and punitive damages. Cook Medical sought to have Ms. Brand’s case dismissed by filing for summary judgment. In December 2018, the judge issued a ruling that allowed only three of Ms. Brand’s claims to go to trial. Those claims were for strict liability, negligent design defect, and negligence per se. After listening to the testimony and considering the evidence presented at trial, the jury found that the Celect IVC filter was defective because it had a defective design. The jury further found that the defective design was the proximate cause of Ms. Brand’s injuries and awarded Ms. Brand $3 million in compensatory damages. The jury did not award Ms. Brand punitive damages. Cook Medical plans to appeal the decision. Bellwether cases, such as Brand v. Cook Medical et al, are often used in multidistrict litigation when the same type of product has hurt many plaintiffs. In this instance, thousands of people have been hurt by Cook Medical IVC filters. All of the bellwether cases that have been decided provide useful information to future plaintiffs about the kind of arguments and evidence that courts and judges will find convincing. This information can help plaintiffs and plaintiff attorneys make informed and educated decisions about what they want to do in the future. So far, the decisions in Cook Medical IVC filter bellwether cases are split between plaintiffs and the defendant. If you have been hurt by an IVC filter and you have not yet filed a case, then now is a good time to learn more about your rights and to find out how you can take action to protect your rights. These cases are complicated, and you may benefit from the assistance of an experienced and dedicated attorney who will take the time to find out exactly what happened to you and to explore all of your legal options for a fair and just recovery. If Cook Medical, or another pharmaceutical company, was responsible for your IVC filter injury then we will fight hard for your financial compensation which may include, but may not be limited to past and future medical expenses, lost income, out-of-pocket costs, pain, suffering, and any other damages related to your injury. Call us, start a live chat with us, or fill out our online contact form at your convenience to schedule a free and confidential consultation. We will provide you with a complete and honest review of your potential claim so that you can make an informed decision about your next steps.